Take Sierra Hwy. N of Kernville, past Fairview & over the Johnsondale bridge; Right turn on Sherman’s Pass Road & drive up to a signed intersection (near a snow gate). NOTE: This area may not be accessible during winter months. Turn right on Big Meadow Road, aka Forest Service Rd# 22S12. This is a very long road which is paved for the first few miles. 22S12 becomes a graded dirt road, suitable for horse trailers; it forks off to other smaller dirt roads, as it progresses through the forests & dead ends back by Cannell Meadow. The main routes are passenger car accessible, but some of the smaller dirt roads can get quite bumpy. A truck or SUV would be advisable to explore these secondary routes. Certain areas have suffered from wildfires 2000-2002. Horses & equestrian camping are very popular in this region. There is also a fair amount of backpackers heading into the Domeland Wilderness and mountain bikers looking for premium backcountry rides, away from the crowds at the Kern River. 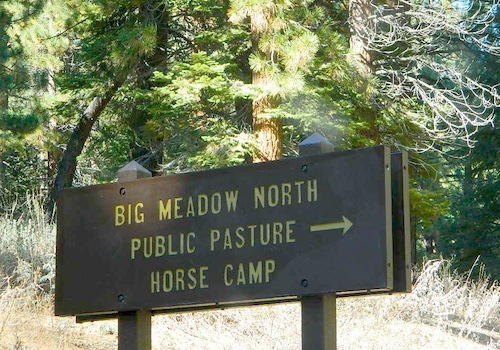 NFS developed Horse Meadow Campground can be found on the right via road# 23S08. Located at 7400′ elevation w/ 41 spots, in the forest. Trailhead to Salmon Creek leads directly from camp. #22S07 Big Meadow – loop road around the “Big Meadow”. 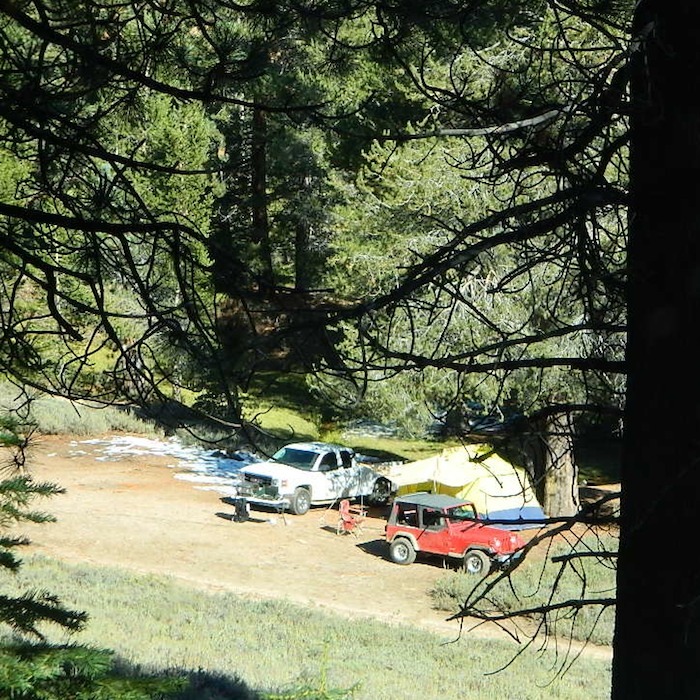 Plenty of primitive camp sites around Big Meadow, but they are the first ones to fill up during a popular summer weekend. 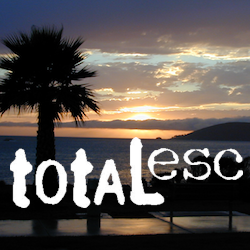 The region is perfect for backpackers or day hikers wanting to access Manter Mdw. & the Domelands Wilderness. #24S12 Cannell Meadow & Pine Flat. The Cannell Meadow National Recreation Trail runs thru here, from Big Meadow down to Kernville, CA.